Host a Book Drive for Access Books and earn our new Access Books Fun Patch. 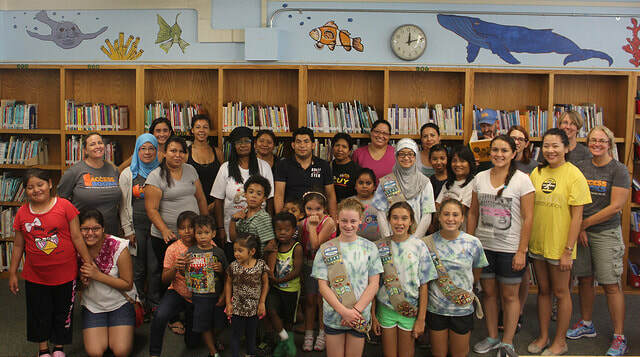 ​Access Books provides a great opportunity for Scout Troops to earn their community service and merit badges while helping students in underserved schools receive new and gently new books for their classrooms and a new refurbished library. All participating troop members will receive a new Access Books Fun Patch (in addition to the Scout badges they may earn). This project is great for all levels of Scouting, but is particularly popular among Junior Girl Scouts and Webelos Boy Scouts (at this stage, Scouts are old enough to independently plan and execute their book drive from start to finish). In addition to collecting thousands of books, the Scouts have an opportunity to work alongside the students at the beneficiary school, as they paint murals, sort, stamp and catalog books. It is a great team building project that can be applied to the Girl Scout Agent of Change Journey program. Email lkampfner@accessbooks.net to get involved.